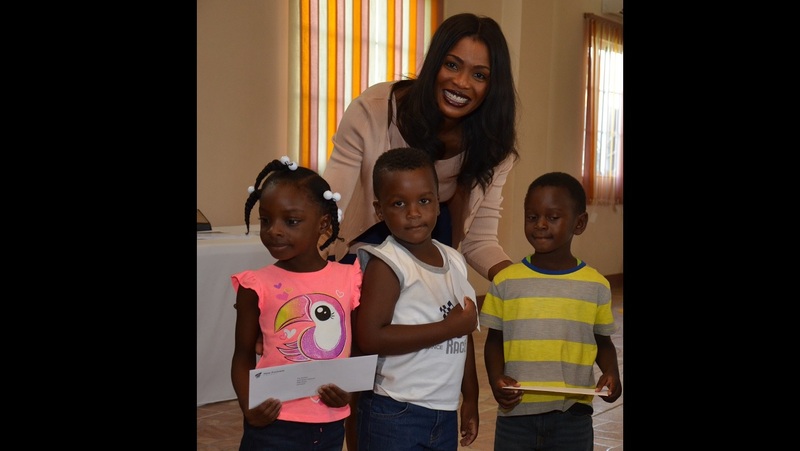 Renee Whitehorne (left), Marketing Manager and Nigel Holness (2nd left), Managing Director of the Bank with Major Oral Morris (right), Divisional Commander, Eastern Division, Salvation Army, and a young beneficiary of the Back to School Treat sponsored by the two entities in Jones Town. 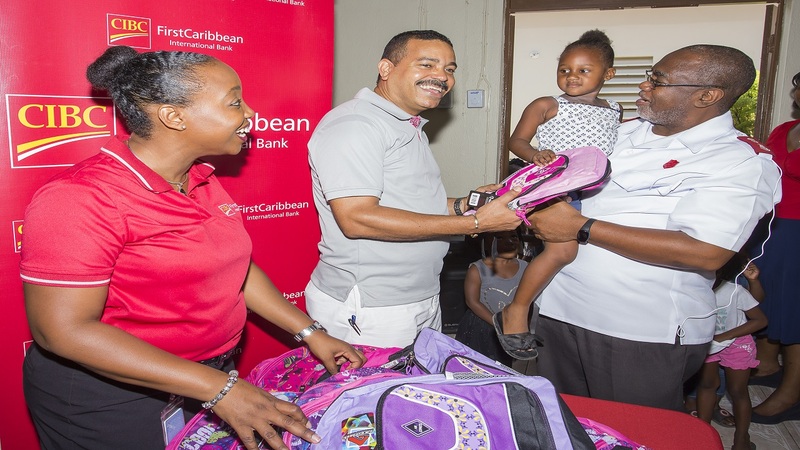 The Salvation Army and CIBC FirstCaribbean International Bank joined forces to help 100 children prepare for back-to-school. The bank helped to finance the Salvation Army’s Back-to-School Treat in Jones Town on August 31, where back packs and school supplies and refreshments were presented to the children. Nigel Holness, Managing Director of the bank said that “the bank was extremely pleased to be able to support the Salvation Army’s Back-to-School Initiative” and he congratulated them on their ongoing community programmes. 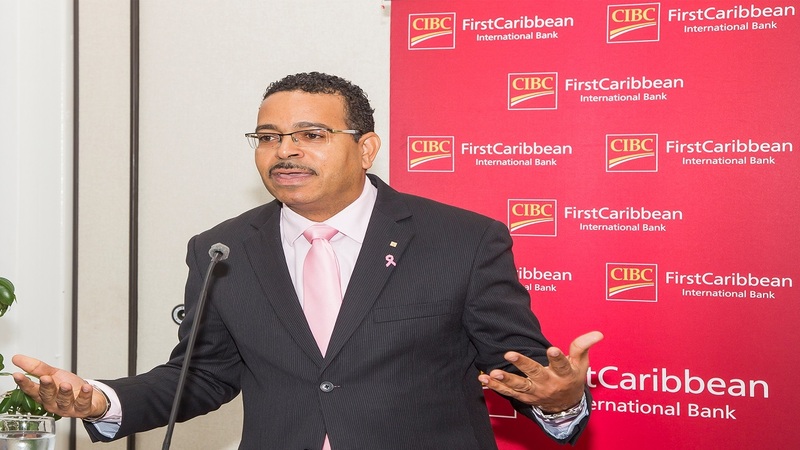 He also issued an appeal to the bank’s customers to support charitable organizations. 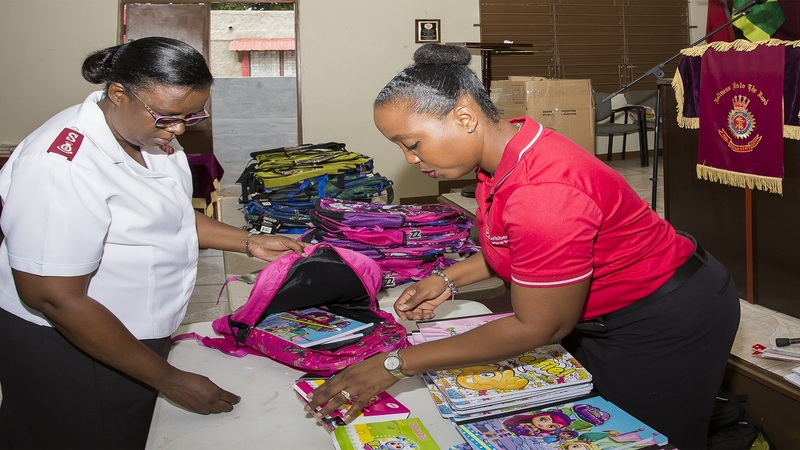 Renee Whitehorne (r), Marketing Manager, CIBC FirstCaribbean International Bank and Major Marcia Morris, Divisional Director, Women’s Ministries, the Salvation Army, prepare the backpacks for the 100 students. 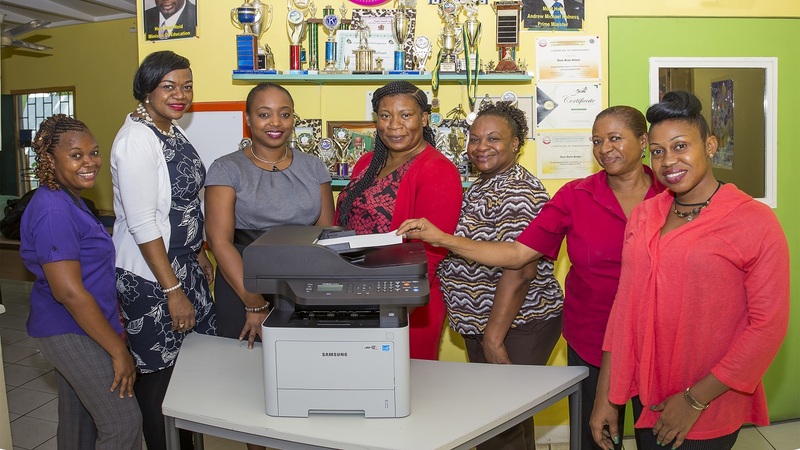 Major Marcia Morris, Divisional Director for Women’s Ministries, Eastern Division of the Salvation Army, said that the organization was “thankful for the partnership with CIBC FirstCaribbean in the Back-to-School Treat”. 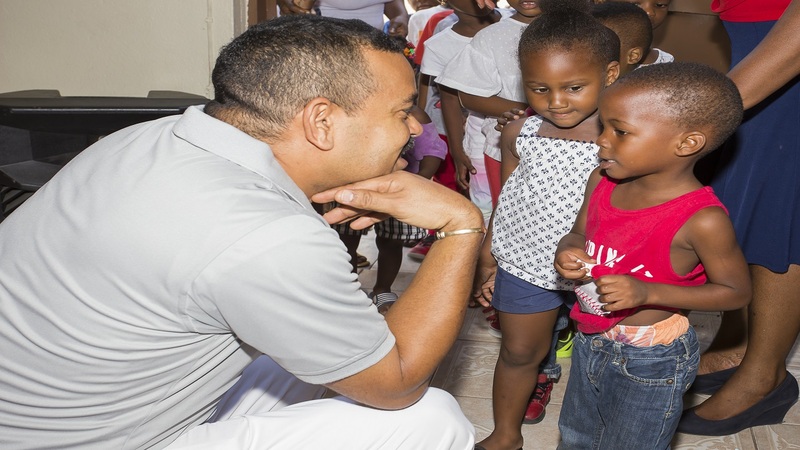 Nigel Holness, Managing Director of CIBC FirstCaribbean International Bank chats with some of the children at the back-to-school treat hosted by the Salvation Army and the Bank in Jones Town. She noted that the organization is very active in the Jones Town community where the Salvation Army Jones Town Church hosts a number of Bible-based and educational programmes. In addition to its back-to-school treat, the Salvation Army also concluded a Vacation Bible School at the end of August.